I enjoy photographing hummingbirds with ambient light, flash, and sometimes combining both light sources. It helps to have a lot of hummingbirds to work with, so every year I go to the Bull River Guest Ranch near Cranbrook, BC during late May to photograph the swarms of hummingbirds at the guest cabins. 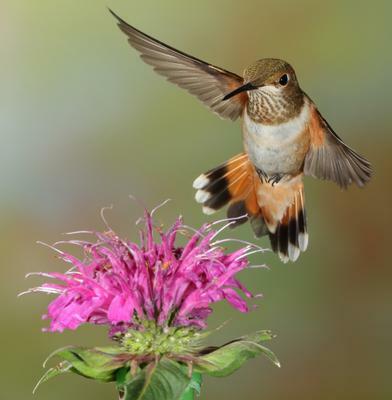 Sometimes 100-200 rufous, calliope, and black-chinned hummingbirds are in view simultaneously! This gives me lots of chances to play with my camera gear and figure things out. Sometimes I shoot several thousand images in a single day. The secret to good hummer images is to toss the bad images and show only the best. I recently returned from John Gerlach's hummingbird photography workshop at the Bull River Guest Ranch in British Columbia, Canada. You will not believe how many birds are there! 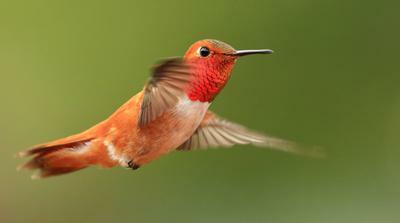 Through John's expert guidance photographing Rufous, Black-Chinned and Calliope hummingbirds was incredible. 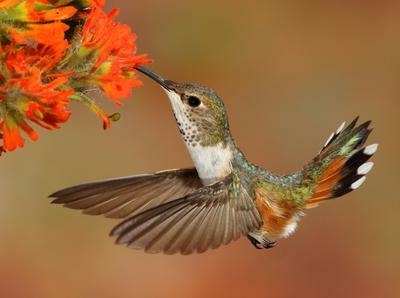 Bull River Guest Ranch is a one of a kind beautiful place with hummingbirds everywhere. 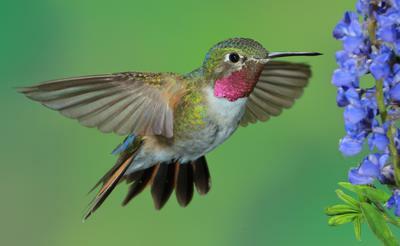 For photographers and/or hummingbird lovers this is THE place for hummingbirds!